Before I get started, I will just say the obvious. I am NOT a doctor! There are different kinds of headaches out there. 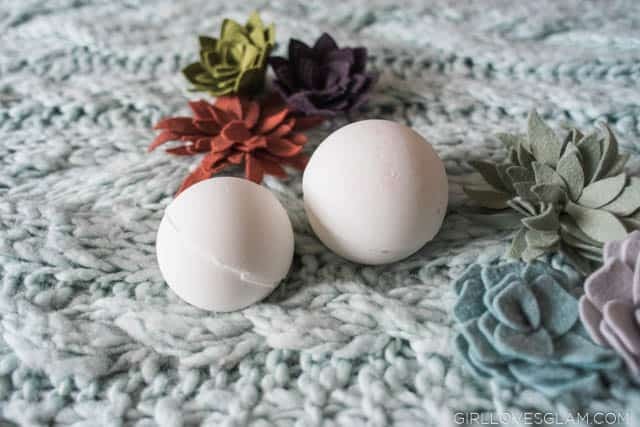 This bath bomb is in no way medicine for your headache. Take medicine for your headache! 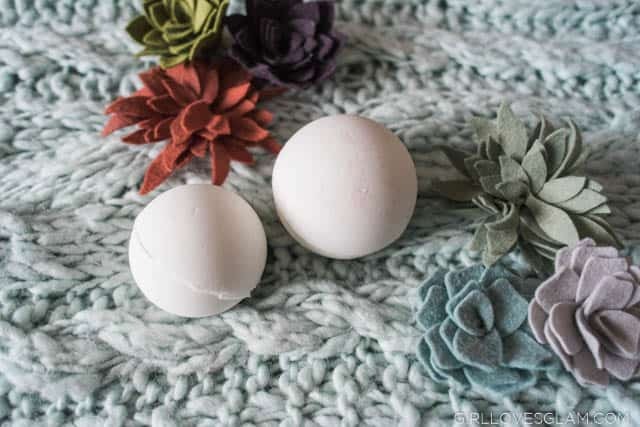 This bath bomb is just going to help you relax and aide your head to continue to feel better. 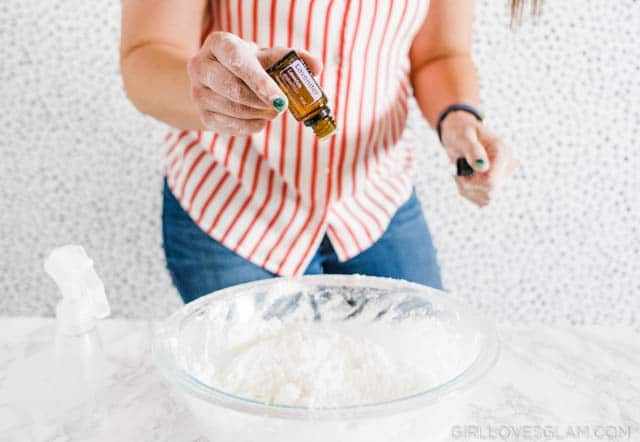 Before we get started with the recipe, I just want to get a little “hippie dippie” on you about Frankincense oil. I am NOT an oil distributor. I have paid for every one of my oils, so know that this isn’t some sort of sales pitch. I am a firm believer in Frankincense oil. A few years ago, my husband was in a bad snowboarding accident. He broke his back and got a severe concussion. He had memory loss and was in a really bad way. His doctor had told us that he wouldn’t be able to do many simple tasks for 4-6 weeks, due to his brain injury. I had read that Frankincense could help with concussions, so I thought there was no harm in trying! 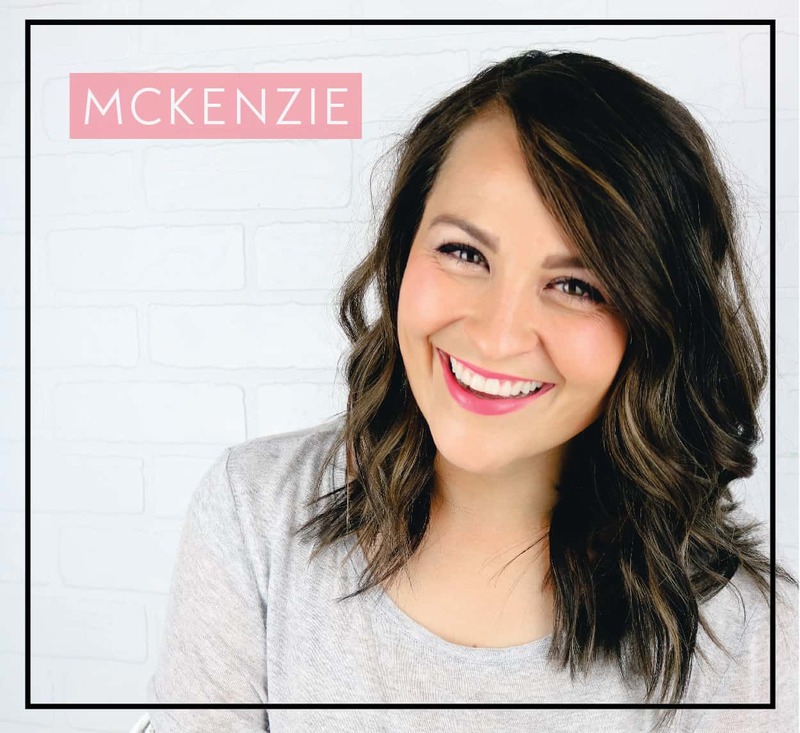 He followed all of his doctor’s orders (dark room, no screens, very little sound, lots of sleep) and I would put Frankincense on his feet, the back of his neck, on his wrists, and on his pillow. I would also diffuse it in the room. When he went to the doctor for his checkup, just 2 1/2 weeks later, his doctor was shocked at how much better his head was. He was given permission to slowly go back to work the following week. Do I think that Frankincense alone healed my husband’s head? No. But I do believe that it helped aide the healing process that was already put into place. This stuff is incredible! 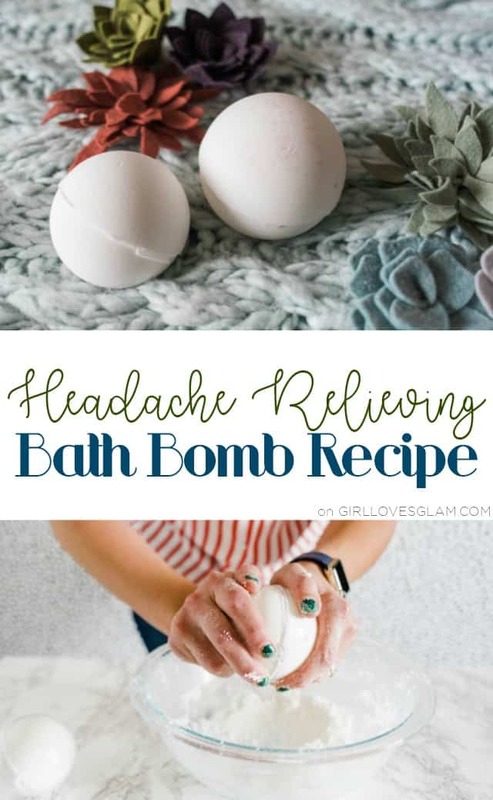 It is really good for headaches, so that is why I included it in this bath bomb. If you haven’t ever tried Frankincense for anything before, I highly recommend it. 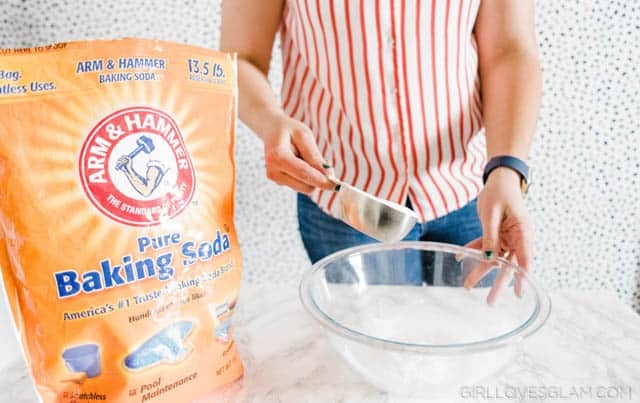 Mix together the baking soda, citric acid, corn starch, and episom salt together in a large mixing bowl. 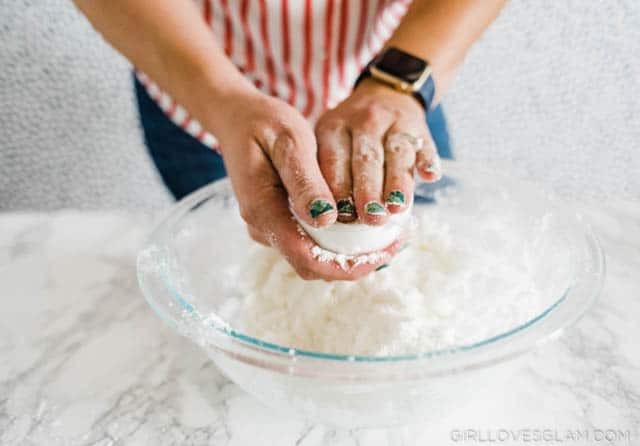 After adding all of your dry ingredients, add the coconut oil. 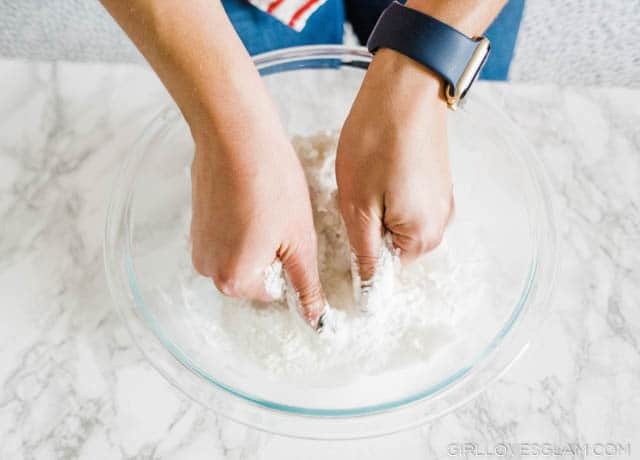 You can use either solid or liquid coconut oil, just make sure it gets evenly distributed throughout the mixture. Spray Witch Hazel into the mixture, 5 sprays at a time. Mix well and spray another 5 sprays. 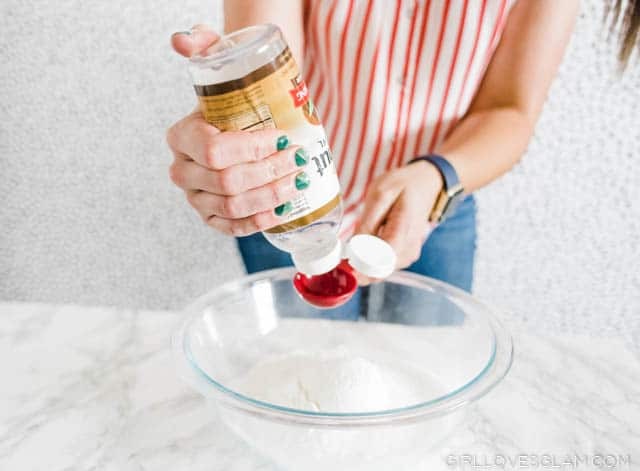 Continue this step until your mixture is wet enough to hold itself together when you smash it in your hand. Don’t make it too wet or else your mixture will start to react too much and that is not good! 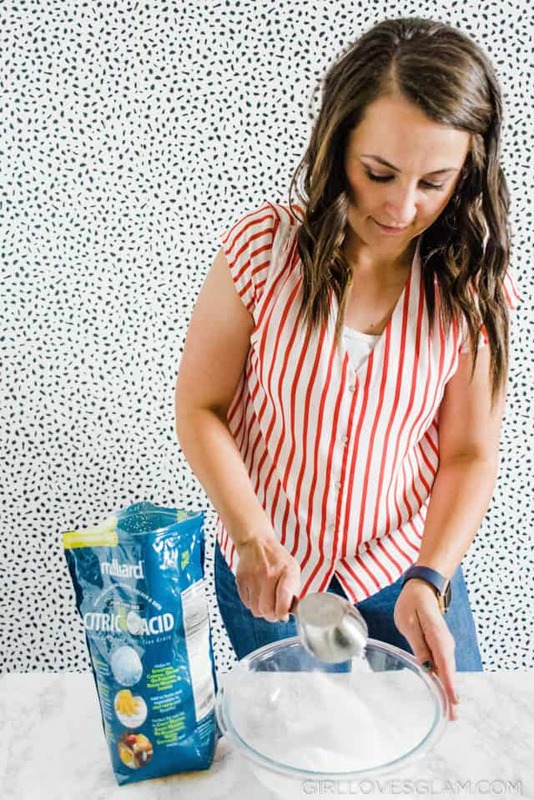 If that does happen, just add more of your dry ingredients. 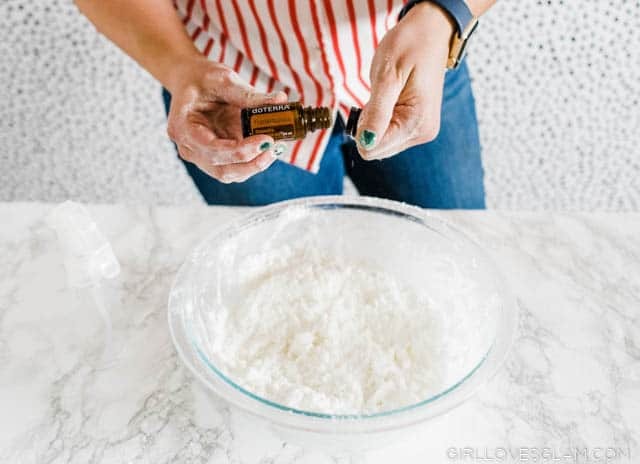 Add your essential oils to your mixture. You can add more than 10 drops of each. I always just recommend starting on the conservative side, since some people can be sensitive to essential oils. If you need more of the scent, feel free to add more of both of these oils. 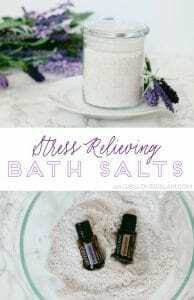 Both lavender and frankincense are pretty gentle and you don’t really need to worry about adding too much to burn your skin or anything. 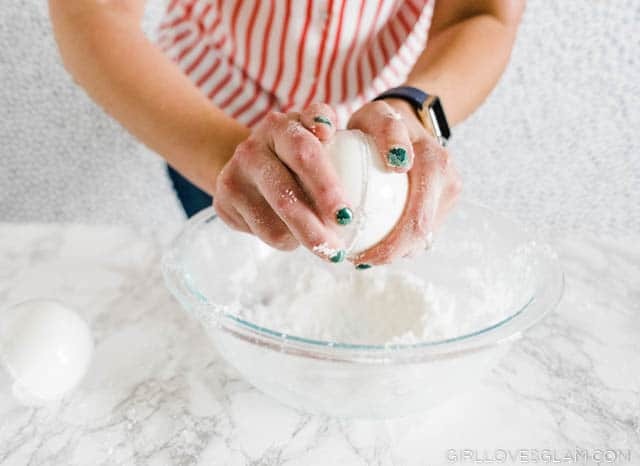 Now is time to put the bath bomb mixture into your molds. Press the mixture into the molds really well so that it is nice and packed in there. After you have packed both sides of the mold, twist them together. I like to secure them with a rubber band, just to keep them together a little better. After you have put the mold together, let them dry overnight or put them in your freezer for at least 30 minutes. Carefully take the bath bombs out of the molds and you will have yourself a perfect bath bomb for those days that your head is in a bad way! 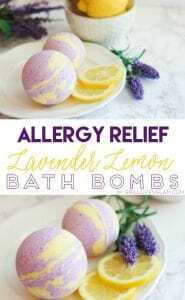 You could even make these and have them to give as gifts to any of your friends or neighbors who are frequent headache sufferers. They will definitely appreciate it! 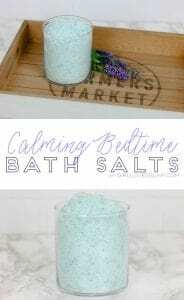 Don’t forget to check out these other calming bath recipes, too!